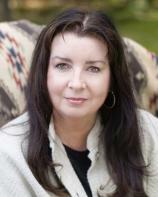 Melody Carlson is the award-winning author of over 200 books with sales of more than five million. She is the author of several Christmas books from Revell, including the bestselling THE CHRISTMAS BUS, THE CHRISTMAS DOG, and CHRISTMAS AT HARRINGTON'S, which is being considered for a TV movie. She is also the author of many teen books, including JUST ANOTHER GIRL, ANYTHING BUT NORMAL, DOUBLE TAKE, the Life at Kingston High series, and the Diary of a Teenage Girl series. She is the winner of a Romantic Times Career Achievement Award in the inspirational market for her many books, including the Diary of a Teenage Girl series and FINDING ALICE. Melody and her husband live in Oregon. Managing the Value Lodge in her hometown was not what Anna Gordon had in mind when she set out in the hospitality industry. But it's a safe choice for a young woman starting out her career. Then, out of the blue, she gets the opportunity of a lifetime: a chance to reinvent herself and reinvigorate her career by moving to New York City. She applies for a management position at a stylish new hotel, The Rothsberg. But the city is full of surprises --- not the least of which is discovering that Sean O'Neil, a once-upon-a-time crush, has applied for the very same position. Rita Jansen's mother is healing from a stroke but facing a long recovery. Without being able to run their family-owned salon, she could lose the business. Rita decides to help, but only has until Valentine's Day to come up with a plan. She finds herself renewing friendships with her childhood best friend, Marley, as well as her classmate Johnny. Though Rita believes Johnny is only being kind, with romance kindling in the air, their friendship may just fall into something more. After years abroad, Garrison Brown finds himself at the home of his beloved grandmother who has just passed away. He must sort out her belongings, including six cats who need new homes. While he hopes to dispense with the task quickly, his grandmother's instructions don't allow for speed. She has left some challenging requirements for the future homes of her furry friends. Can he match the cats with the perfect new owners? And is it possible that he might meet his own match along the way? Shannon McNamara has exciting plans for the summer and can't wait to dive in. But her ill mother has plans of her own: to relocate them both to the heart of Amish country in Ohio where she has relatives who can help her. When a hot young Amish guy named Ezra enters the picture, Shannon is ready to get an Amish makeover and even consider making it a permanent change. Can she really make the jump into a whole new way of life? Emma Burcelli concludes that love is officially dead when her grandfather Poppi suddenly passes, leaving her grandmother Nona devastated. To help out, Emma works in the family bookstore, which Nona insists must be decked out in sweetheart décor as Poppi would have done for Valentine's Day. Emma quickly learns to enjoy the task with the help of a handsome family friend, Lane Forester, who shows her that hanging hearts is much more fun when done to the tune of Dean Martin. Rachel Milligan never imagined that she and her seven-year-old niece would spend the week before Christmas on a quaint Amish farm in Ohio. With her young niece Holly in tow, Rachel anxiously makes her way from Chicago to Ohio's Amish country. As love begins to blossom, family secrets emerge, and old wounds are healed, Rachel realizes that she will do whatever it takes to ensure that Holly has the loving family she needs. Katrina Yoder loves to sing, but her strict Amish parents view her singing as vain. However, when her family faces a crisis, it seems to Katrina that going on the TV show "American Star" might be the way to get the money needed to cover the emergency expenses. How will Katrina handle herself as an Amish teenager out in the world? Will her parents ever forgive her? And will she be accepted back into her community when it's all over? Bestselling author Melody Carlson begins an inspiring new series of adventure and romance on the Oregon Trail. It’s 1854, and as Elizabeth Martin --- a young widow and mother of two --- faces unexpected challenges, she forges true character, close relationships, and a vital faith in God. When rumors start to fly about what might be going on behind the papered-up windows and the locked door of Matilda Honeycutt's new shop, image-conscious residents start looking for a way to get this woman and her wares out of their town before Christmas.